The artistic filter are characterised by taking an input, and doing a deformation on them. 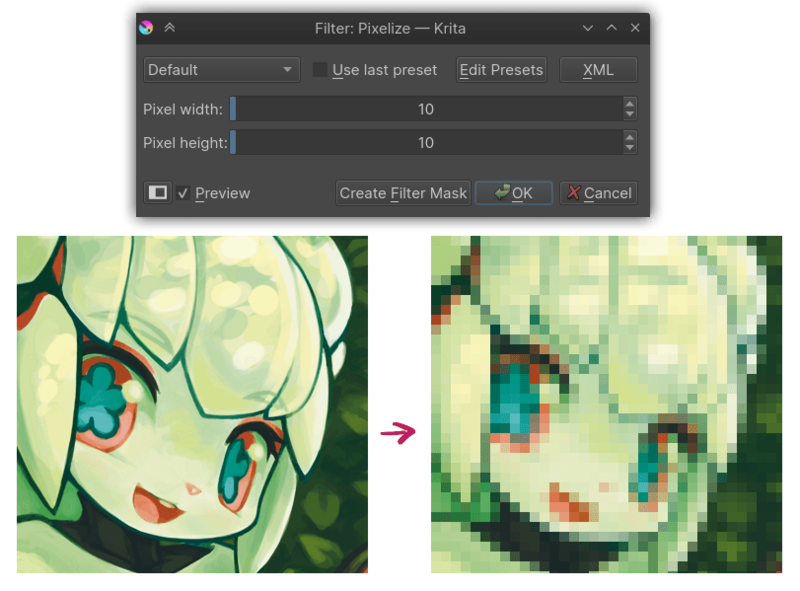 The halftone filter is a filter that converts the colors to a halftone dot pattern. The colors used to paint the pattern. The first is the color of the dots, the second the color of the background. The size of the cell in pixels. The maximum dot size will be using the diagonal as the cell size to make sure you can have pure black. The angle of the dot pattern. This inverts the intensity calculated per dot. Thus, dark colors will give tiny dots, and light colors big dots. 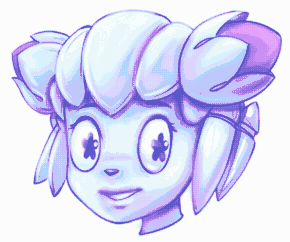 This is useful in combination with inverting the colors, and give a better pattern on glowy-effects. This makes the dots smooth, which is good for webgraphics. Sometimes, for print graphics, we want there to be no grays, so we turn off the anti-aliasing. The index color filter maps specific user selected colors to the grayscale value of the artwork. 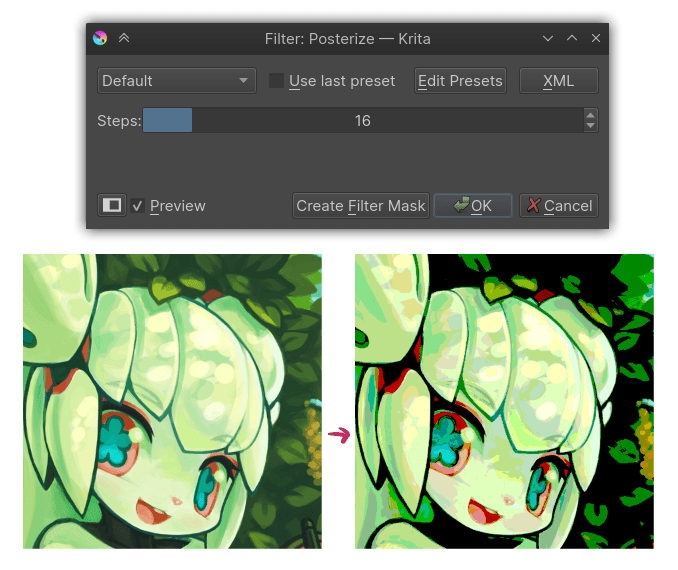 You can see the example below, the strip below the black and white gradient has index color applied to it so that the black and white gradient gets the color selected to different values. Makes the input-image pixely by creating small cells and inputting an average color. Adds random raindrop-deformations to the input-image. 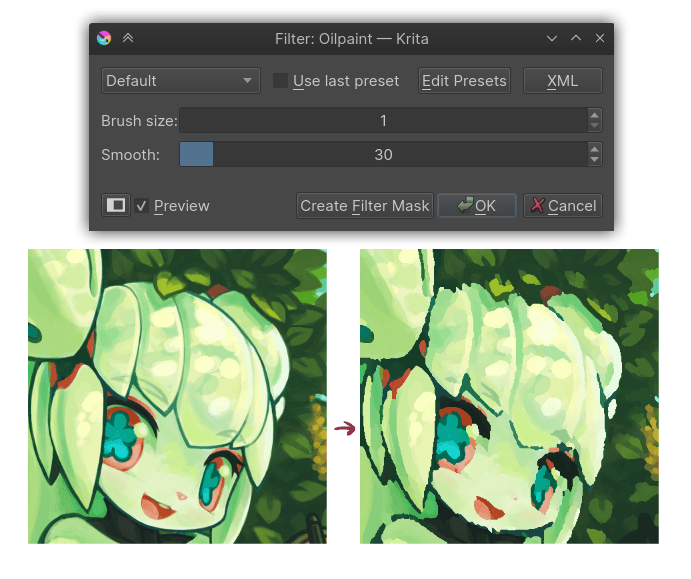 Does semi-posterisation to the input-image, with the ‘brush-size’ determining the size of the fields. Determines how large the individual patches are. The lower, the more detailed. Determines how much each patch’s outline is smoothed out. This filter decreases the amount of colors in an image. It does this per component (channel). 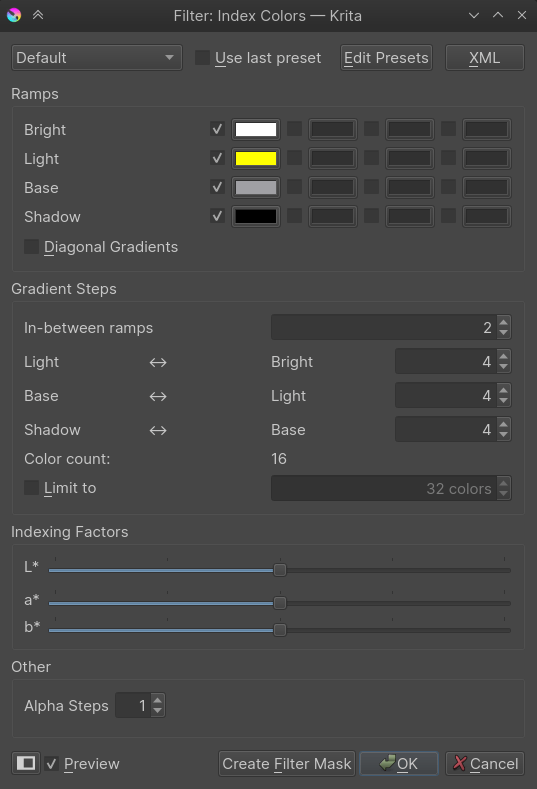 The Steps parameter determines how many colors are allowed per component.